Drone footage filmed by the National University in Athens and images taken by our correspondent show the scale of the floods that have taken the lives of at least 16 people with six others still missing. 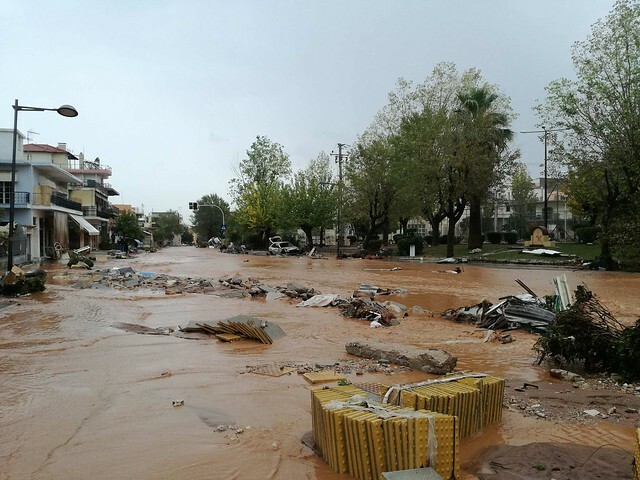 The footage, taken over Mandra in the Atica region, only 25 kilometers from the Greek capital, shows roads turned into rivers of mud and destroyed buildings. Locals in the affected region told our correspondent that a “tsunami” took their homes, stores, and cars. 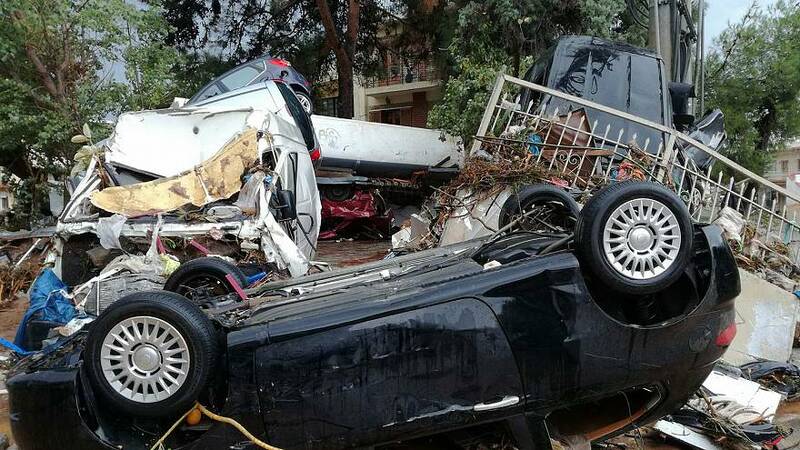 Scores of people were left homeless by the torrential rain. Prime Minister Alexis Tsipras declared a period of national mourning and said support measures will be adopted for households and businesses affected. Torrential rain of this type is uncommon in Greece.